Although the name spells doom, beautiful Shark Bay in Langebaan got its name from it’s numerous and harmless sand-sharks, not the greater and whiter variety. 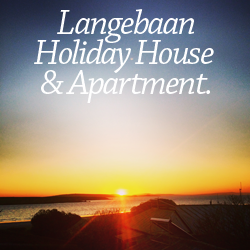 Shark Bay is part of Langebaan lagoon, next to the West Coast National Park and is a quiet haven of shallow blue water, good fishing and fantastic kite surfing conditions. If you like many visitors are planning on learning to kitesurf while you are here, there is no better place in South Africa to learn, with flat water, consistent wind and relatively warm water compared to the rest of the Atlantic. Cape Sport centre , Windchasers, Siren Kiteboarding and Best Kiteboarding Africa are amongst the lesson operators in Langebaan and offer training packages for all levels. Prices are from R150/hour ($20) to R1100 for a full day ($160). If kiting is not your bag, the surrounding scenery is breathtaking and the fishing, superb. To get there follow the R27 (West Coast Road) from Cape Town, for about 1.5 hours until you reach the sign for Langebaan just after the Engen petrol station. Follow the road into Langebaan, through the town and onto a small dirt road (-+ 1km) until you see the lagoon and kites in the sky. If you don’t find the dirt road just ask a local.